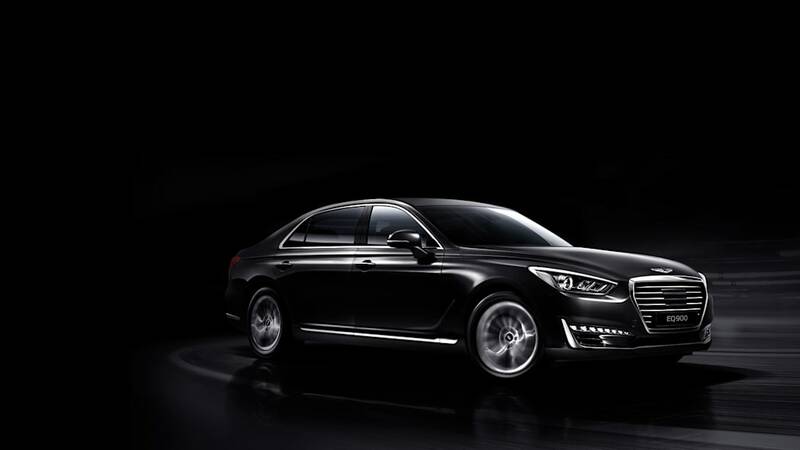 Hyundai just revealed the first vehicle for its new Genesis luxury brand. 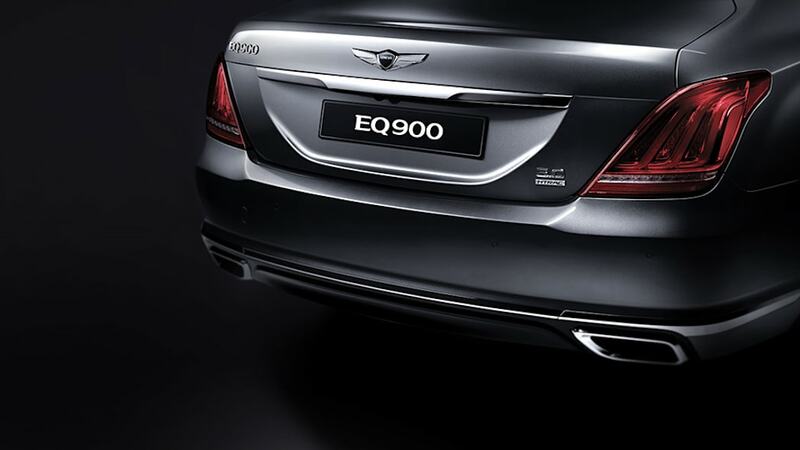 It'll be called the EQ900 back home in Korea, but to the rest of us, it will be known as the Genesis G90, effectively replacing the Hyundai Equus. The G90 is as big as a Mercedes S-Class, but like the outgoing Equus, will be priced closer to the E-Class. 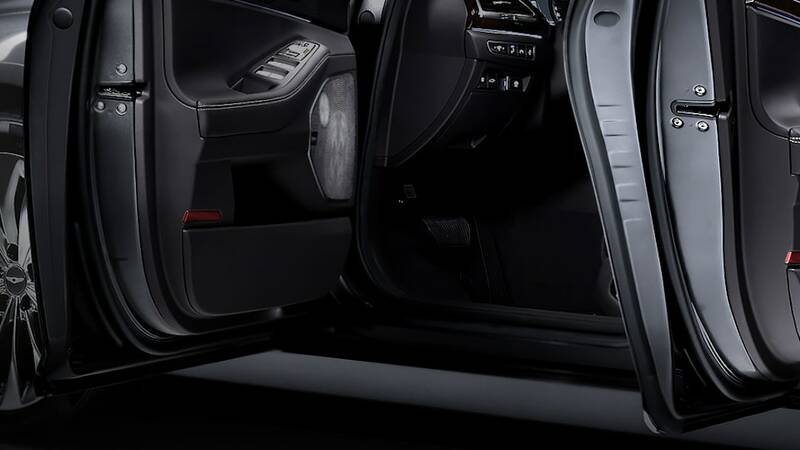 Exterior dimensions are incrementally larger than the outgoing Equus, and compare roughly to the Mercedes S-Class (in the long-wheelbase form we get in America). But if Hyundai keeps pricing in line with the Equus we currently know, the G90 will be priced closer to the smaller E-Class. 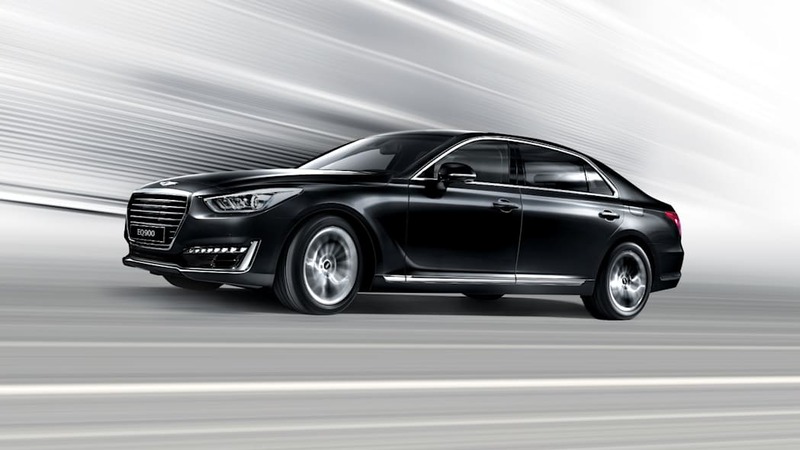 Design was carried out under the watchful eye of Peter Schreyer at the company's new Prestige Design Division, headlining a new Athletic Elegance design language that will expand to the five new Genesis-branded models coming after the G90. 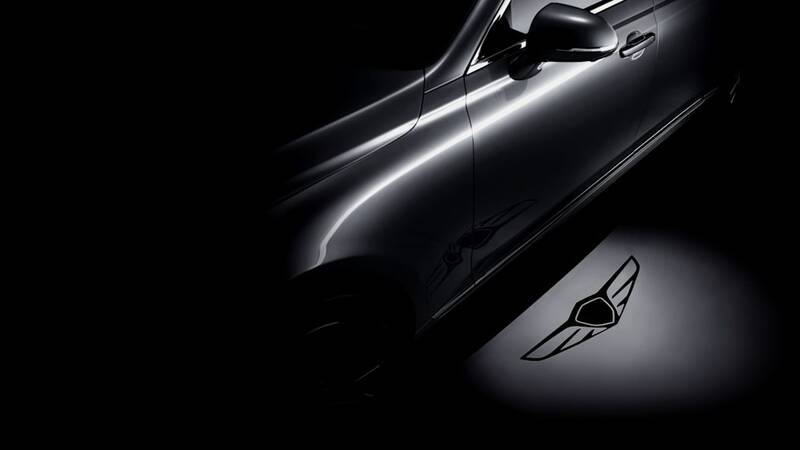 The front end is characterized by a Crest-shaped grille with the Genesis brand's new winged emblem (also projected onto the pavement from the side mirrors), and flanked by LED headlamps. A chrome beltline bridges to the rear with its dual exhaust tips. While the interior of the Equus may not have been up to par with the competition, the G90's cabin looks poised to rival the best of them. Italian leather offsets real wood trim. The ergonomic seats are certified by German back specialists, with 22-way power adjustment for the driver and 14 ways for the other occupants. In Korea the EQ900 even features a Smart Posture Caring system that positions the seat, steering wheel, head-up display, and outside mirrors to the driver's optimal position. There's a 12.3-inch high-definition screen in the dashboard, a megapixel parking camera, 360-degree around-view monitor, Lexicon surround sound system, and wireless inductive phone charging – all of which adds up to what looks like a sumptuous environment in which to pass the miles. 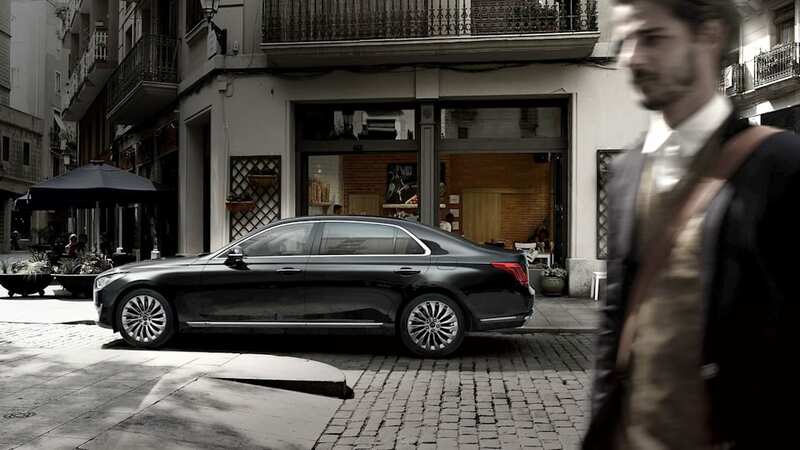 While the Equus is powered exclusively by a V8, the G90 offers three engine options. 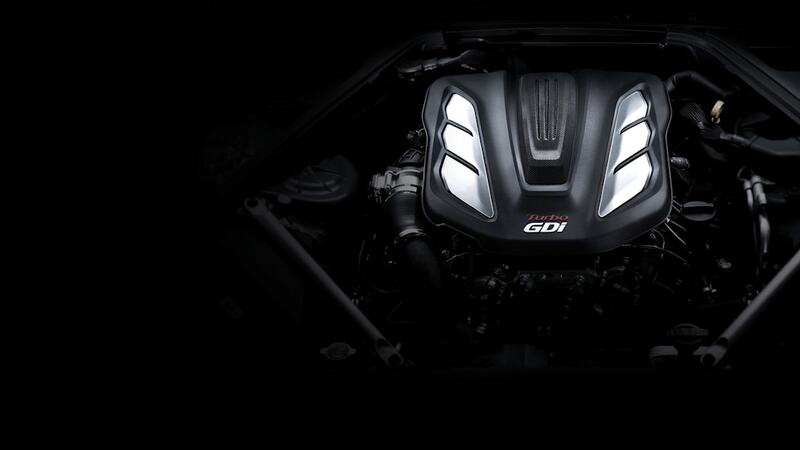 While the Equus is powered exclusively by a V8, the G90 offers three engine options: Least potent is the new 3.8-liter V6 launched in the Kia K900, rated at 311 horsepower. There's a 3.3-liter turbocharged V6 good for 365 hp. And the 5.0-liter V8 carries over at 419 hp (though the current version is quoted at 429 hp), propelling the sedan to 62 miles per hour in 5.7 seconds. Power in any case is transmitted through an eight-speed automatic transmission to either the rear wheels or all four. 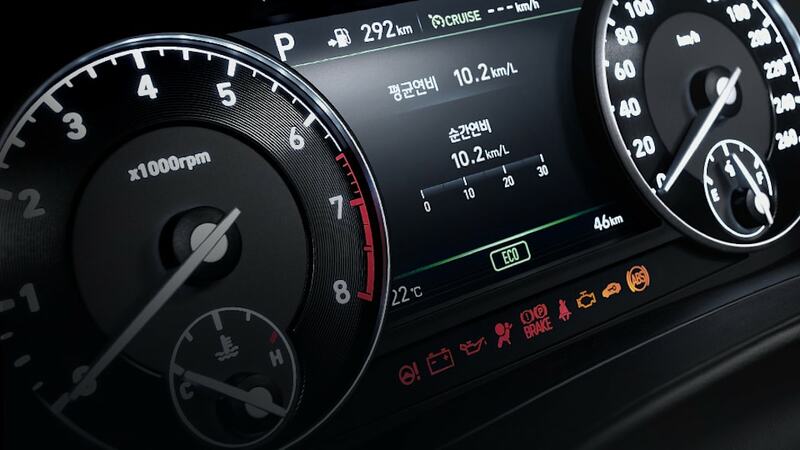 The Korean automaker has also equipped its new flagship with all the latest electronic safety features. The list includes emergency braking with pedestrian detection, blind-spot monitor, driver alertness, and adaptive headlights. The KDM version also features a Highway Driving Assistance system for near-autonomous operation. We may have to wait a while before that feature is ready for export, however. The EQ900 is launching initially in Korea, but will soon follow to other markets around the world – including ours. After that we can expect five more models to join the new G90 and G80, including a smaller G70 sedan, a crossover, and a two-door to replace the Genesis Coupe, all arriving before the end of this decade. 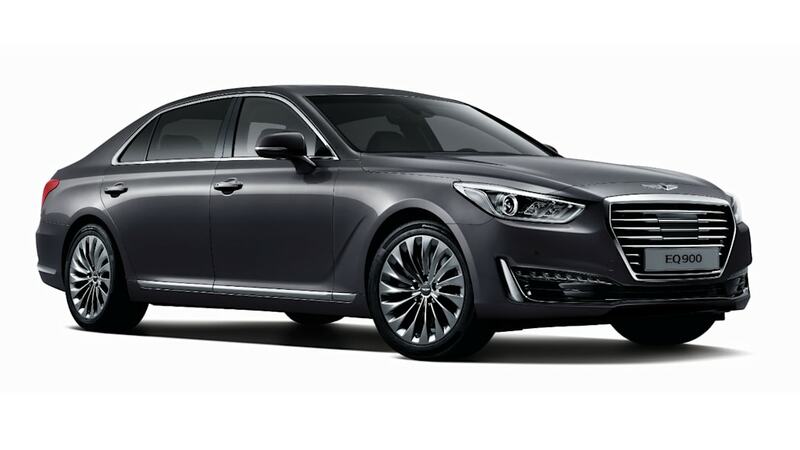 December 9, 2015 – Hyundai Motor has unveiled the new Genesis G90 large luxury sedan, the model that will top the new Genesis brand's luxury car line-up. 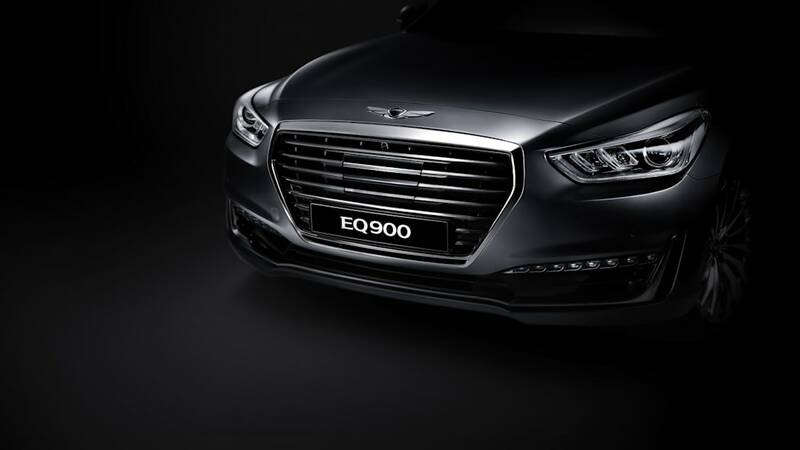 The G90 (called EQ900 in Korea) will compete at the top of the luxury car market with world-best technological innovations and the highest levels of refinement, convenience and dynamic performance. 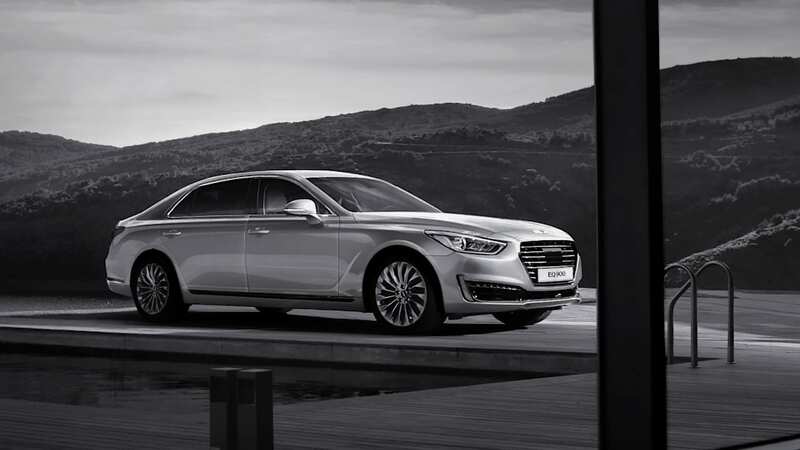 Designed with profound elegance, natural dignity and grandeur by the Prestige Design Division that will craft the visual identity of each Genesis model, the G90 is the first realization of the brand's 'Athletic Elegance' design style. Outside, the G90's silhouette is powerful and refined, from its long hood to its sophisticated rear. While inside, the finest artisan materials meet human-centered ergonomics to provide occupants with absolute convenience and luxurious comfort. 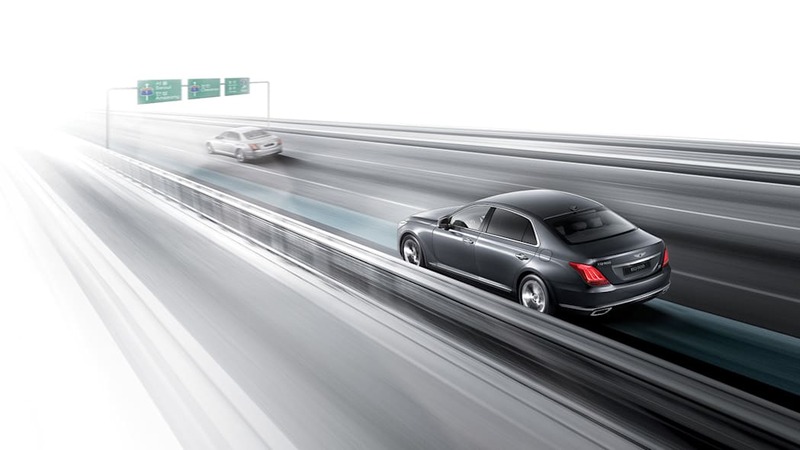 With technological innovation at its core and in anticipation of fully-autonomous cars, G90 features Genesis Smart Sense, which brings together advanced systems including Genesis' advanced 'Highway Driving Assistance' (Korean market only), Advanced Smart Cruise Control and Lane Keeping Assistance System. Accentuating the customer-oriented approach of Genesis, the system substantially reduces driver fatigue by combining a series of innovative technologies. This combination of newly-developed technologies create a first-class, all-but autonomous driving experience, elevating the G90 to the top of its class. 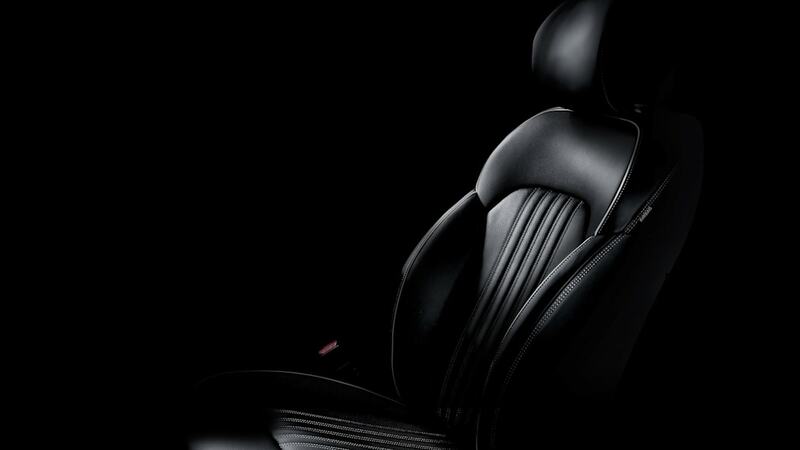 The first-class theme extends to occupant comfort, with the G90 offering the world's first clinically-validated Smart Posture Caring (SPC) System, which automatically adjusts the seat, steering-wheel, outside mirror and head-up display to the optimal position for the driver's body (Korean market only). G90's VIP ergo passenger seats feature multiple ranges of electronically-controlled adjustment and are approved by German campaign for healthier backs, Aktion Gesunder Rücken. Benefitting from an intensive four-year development program by an 800-strong team, the G90 has best-in-class refinement thanks to extensive work on the car's NVH characteristics. 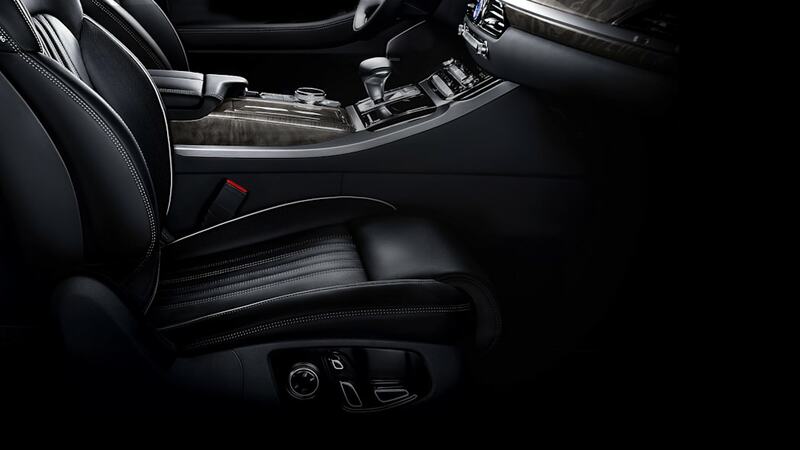 Every detail of the interior has been crafted to continue the car's human focus. Driving the car, owners will notice standards of refined performance. This is central to the Genesis brand's character, with development teams carrying out rigorous performance testing of the G90 at the Nürburgring circuit in Germany and the Mojave test center in the U.S. Despite the car's sporty and responsive characteristics, the interior environment remains refined with all of the three available gasoline powertrains: V6 3.3-liter T-GDI, V6 3.8-liter GDI or V8 5.0-liter GDI. 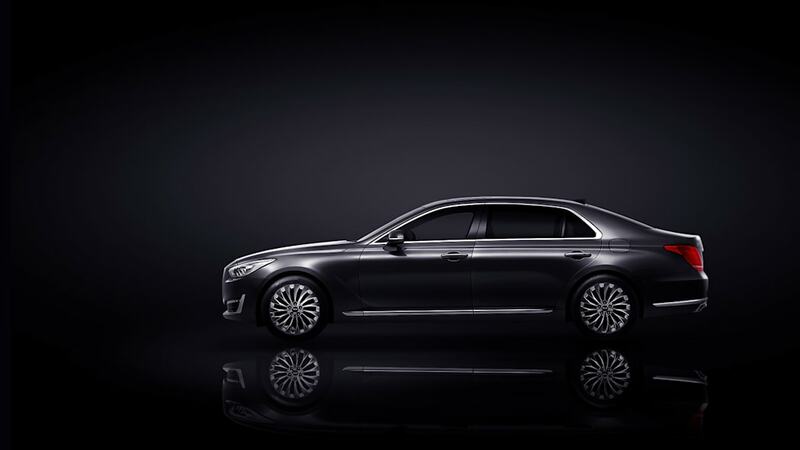 Formed by Hyundai Motor's new Prestige Design Division, the distinctive appearance of the G90 exudes confidence and originality. Under the oversight of Chief Design Officer Peter Schreyer, G90 expresses the first interpretation of the brand's hallmark design style 'Athletic Elegance,' which harmonizes beauty and elegance of movement with dynamism and an explosion of energy. The exterior design of the car brings a respect and depth of grace to the sector, a natural dignity of "Soignee Charisma" evident when parked or in motion. In crafting the appearance of G90, the Prestige Design Division aimed to capture the car's strength and originality, while presenting a new charm through its innovative styling and proportions. 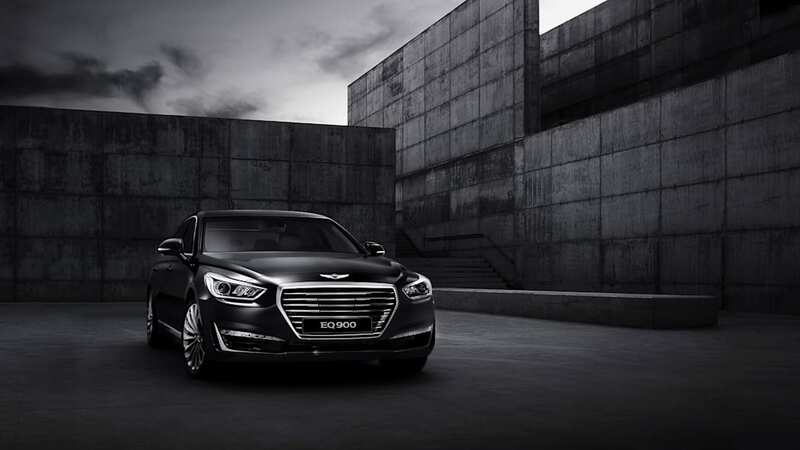 At the front, the G90's identity is centered around a Genesis-family styling feature, the 'CREST' grille, and crowned with the new winged-feathers of the Genesis emblem. Powerfully-proportioned, the G90 combines a long hood with short overhangs, a design feature that accentuates the model's strength. 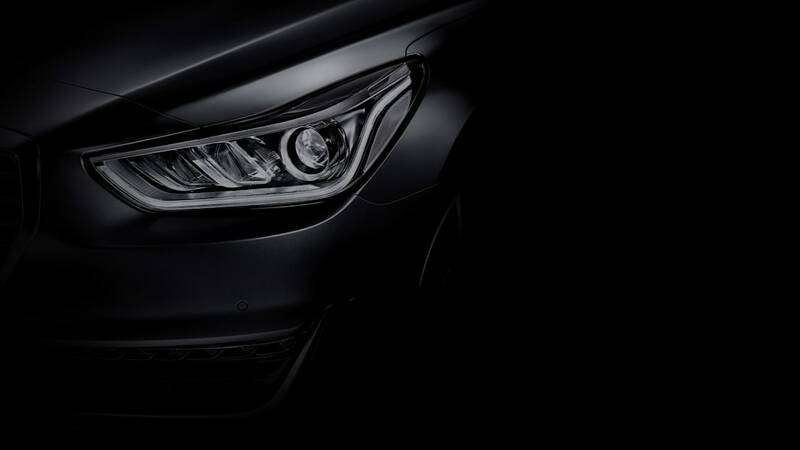 The sharp LED headlamps flow around the front corners of the car's bonnet – a key feature of the new family of Genesis-brand cars. Inspired by clean modern lines and effortless elegance, the large sedan's bold lines flow along a chrome belt line to the rear. 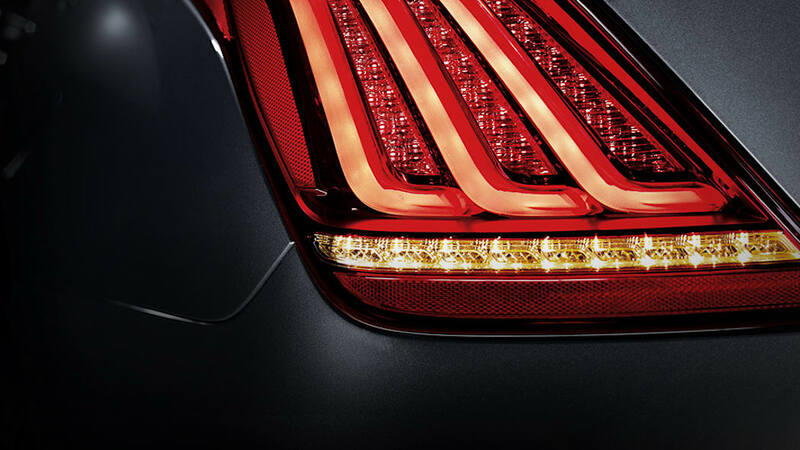 Here, dual exhausts balance the refined vertical combination lamps to complete the car's athletic elegance. Occupying one of the most substantial footprints in its class, the G90 is available in eight sophisticated colors that pick-out the car's characteristic lines. Ranging from Marble White and Onyx Black to Gold Scent and Neptune Blue, the color palette perfectly matches the spectrum of interior color and material combinations. Human-centered ergonomics, total interior harmony, absolute convenience and luxurious comfort dictate the interior layout and design "Graceful Luxury" of the G90. From the graceful layout of driver controls and authentic material to the seat stitching and elegant color palette, every element of the car's interior reinforces the focus on the car's occupants. 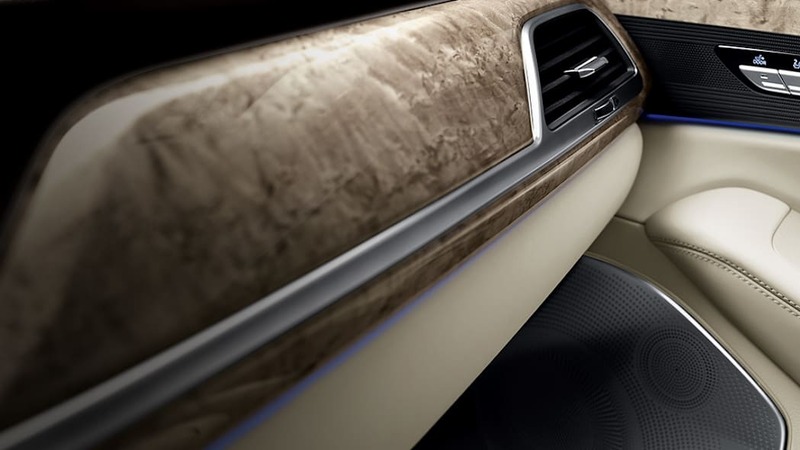 Great consideration has been given to each of the materials chosen for the G90's interior. The highest-quality, authentic materials adorn the cockpit with ease of use and beauty of appearance central to every feature's form and function. 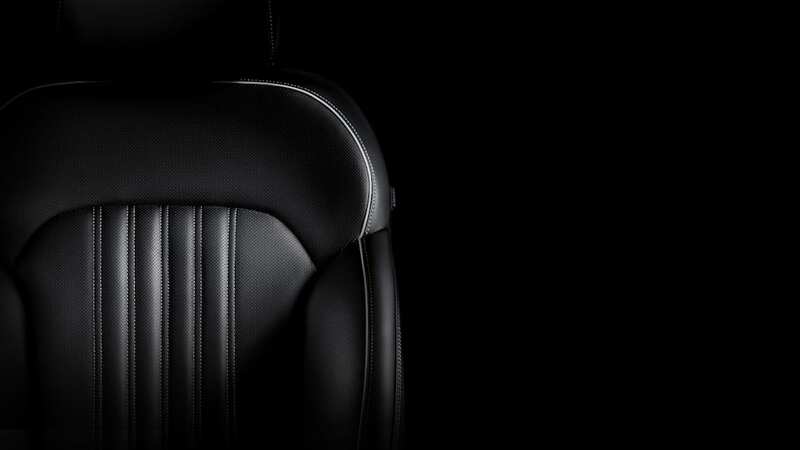 In collaboration with prominent Italian leather supplier Concerio Pasubio SPA, Hyundai Motor specially-developed semi-aniline leather for the seats of G90 Limousine. Throughout the cabin, the latest technologies sit among Nappa leather and glossy real wood, delighting the senses and cosseting the occupant in a first-class environment. The G90's engineers worked closely with Hyundai's European Test Centre based at Germany's demanding Nürburgring circuit, and also put the car through its paces at Hyundai's test center at Mojave in the Unites States. Through an intensive program of testing and development, the engineering team refined G90's ride, handling, steering input, suspension movement and interior environment to deliver an impeccable and exhilarating driving experience with dynamics that are luxurious, sporty and refined. 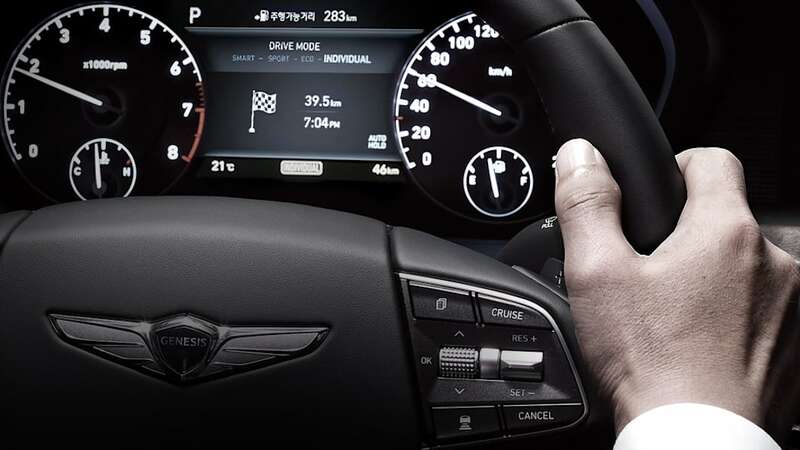 'Safety without compromise' summarizes the human-centered philosophy that has directed the development of the G90. The introduction of several world-best safety technologies, alongside a highly rigid body frame (the strongest in its class), means the G90 boasts safety as one of its stand-out features. Adding to the car's no-expense-spared safety set-up, a selection of other technologies work to minimize risk and maximize protection for the driver, passenger and other road users. From Autonomous Emergency Braking (AEB) with Pedestrian Detection, Active Blind Spot Detection (BSD) and Driver Attention Alert, to Smart High Beam Assist and an Around View Monitor, the human-centered nature of Genesis is evident throughout. 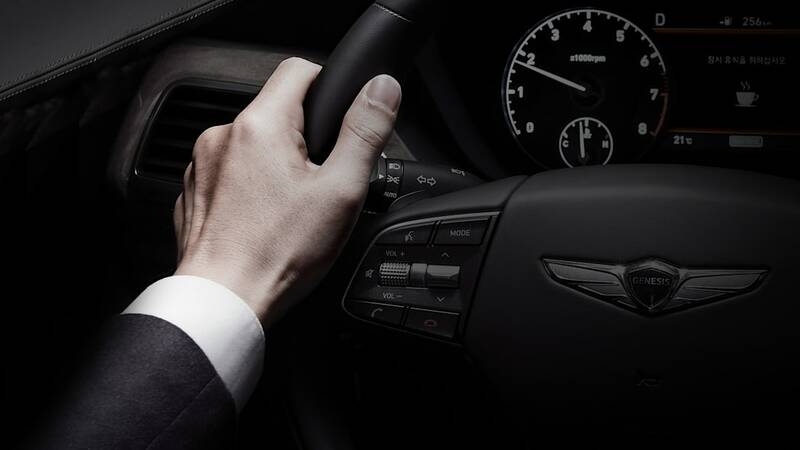 Simplicity and intuitiveness were key to the development of the G90's convenience features, delivering the ultimate hassle-free experience for owners. Also, in developing the car's specification and equipment, great thought was put in to providing everything a customer would need without anything unnecessary or over complicated. 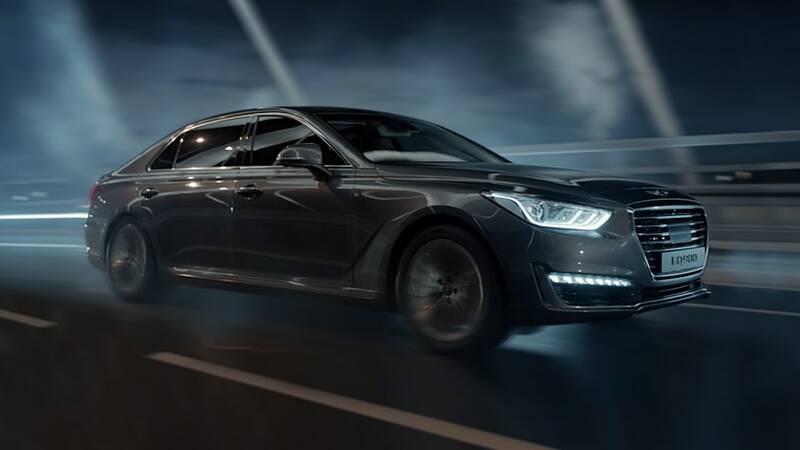 Looking to the future, Genesis G90 applies an advanced 'Highway Driving Assistance' system (Korean market only), a step towards fully-autonomous motoring. The system substantially reduces driver fatigue and works by combining a series of systems - Advanced Smart Cruise Control, Lane Keeping Assistance System and a combination of newly developed technologies. 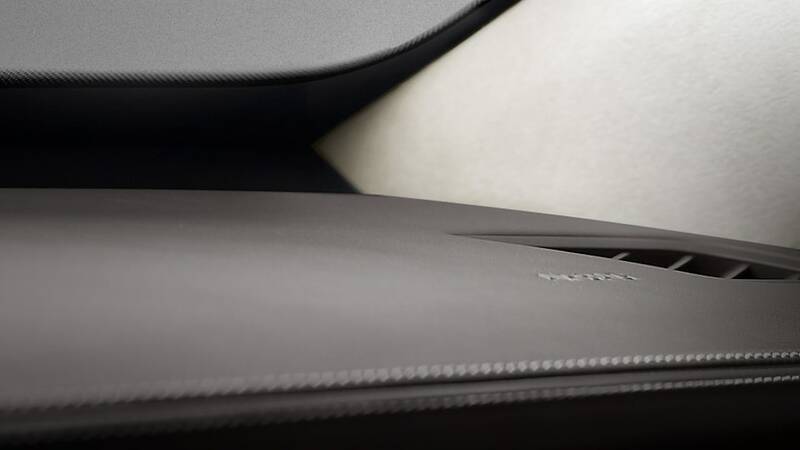 Seating comfort is an outstanding characteristic of the G90, with engineers creating the world's first Smart Posture Caring (SPC) System to ensure total luxury for the driver and passengers. The innovative ergo seating system automatically determines the optimal position for the driver's body, ensuring minimal stresses even on longer journeys. The G90's electronically-controlled driver's seat feature 22 ranges of adjustment and have been approved by German campaign for healthier backs, Aktion Gesunder Rücken. 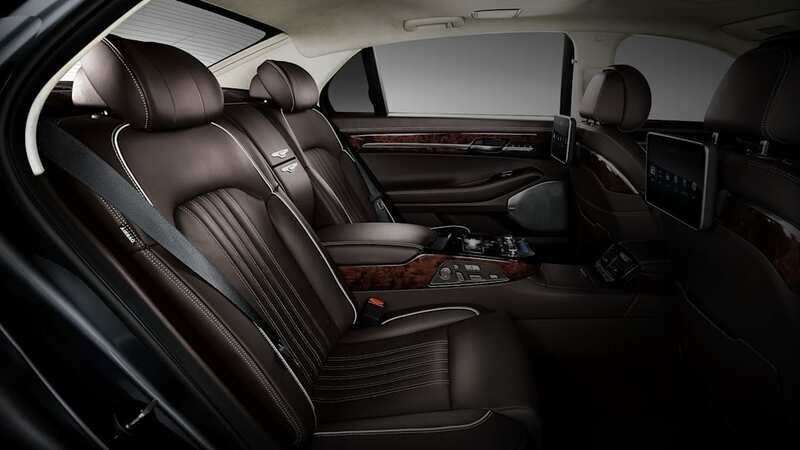 The VIP passenger seats are electronically adjustable in 14 different ways, ensuring the highest levels of comfort. 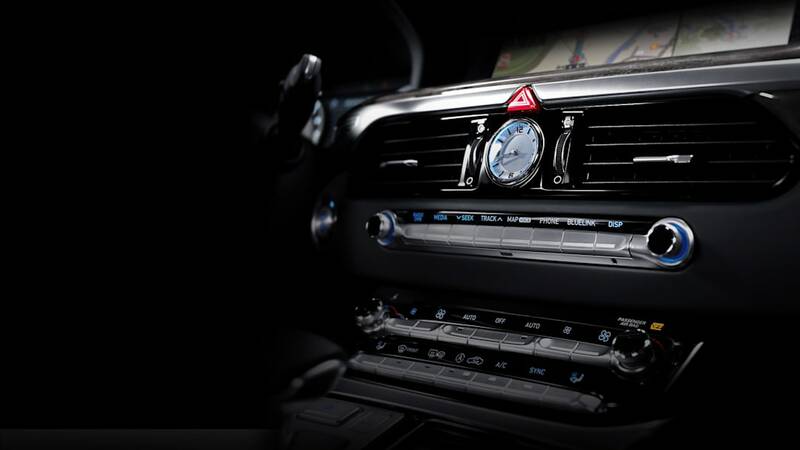 Many of the car's features rely on interaction with the car's audio visual system displayed via a luxurious 12.3-inch High Definition wide screen sited in the center console. The screen plays a key role in enhancing the ease of parking and in-city maneuvers for drivers. A one mega pixel digital camera is activated when parking, sharing the screen with a high-resolution 360-degree Around View Monitor. Quality was also fundamental to the appointment of G90's audio system. Presenting a concert hall-like experience, the Lexicon Sound System boasts Quantum Logic surround sound, while the car's Clari-fi software rebuilds details lost in compressed audio files, adjusting the treatment based on the quality of the audio signal to restore a hi-fidelity listening experience. From introducing special sound-absorbing materials throughout the cabin and sub-structure of the car to the application of laminated glass on each window, the focus on providing customers with the ultimate luxury experience was the key. The determination to minimize generation of additional tire noise even extended to the special hollow design of the G90's 19-inch alloy wheels with engineers altering the structure to channel the flow of air in a quieter way. Sound engineering also extends to the sedan's suspension set-up, which is optimized at test centers around the world for high speed cruising while minimizing in-cabin impact and body vibration. Tuned for maximizing driving pleasure, the rigorous testing regime concentrated on getting a responsive drive from the car's powertrains, while remaining refined for drivers and passengers. 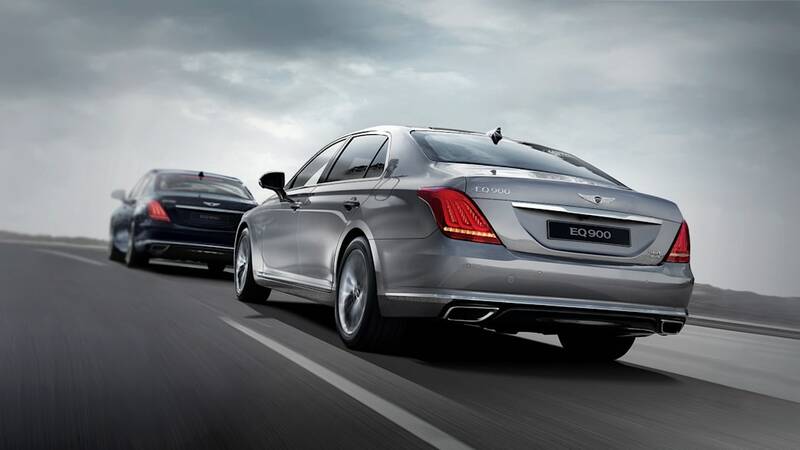 The 425PS V8 unit can propel the sedan from 0-100kph in as little as 5.7 seconds, fueled by powerful torque of 53.0kgf.m. 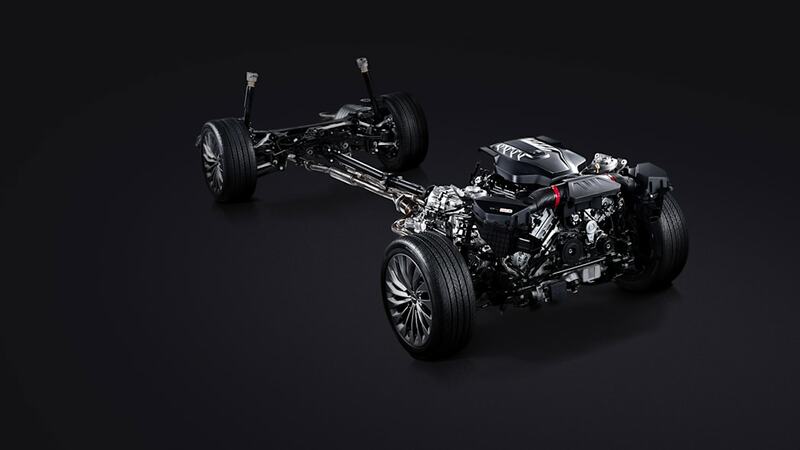 Meanwhile, Hyundai Motor's first twin-turbocharged engine, the 3.3l V6, boasts strong performance throughout the rev-range, capable of 80-120kph overtaking maneuverers in 13.0 seconds thanks to its 52.0kgf.m of torque.